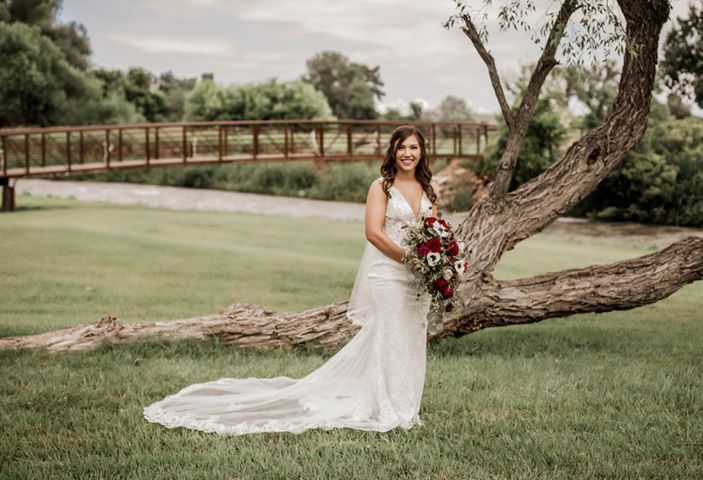 If you have always dreamed of a rustic, ranch style wedding, Cadillac Ranch is your dream come true. 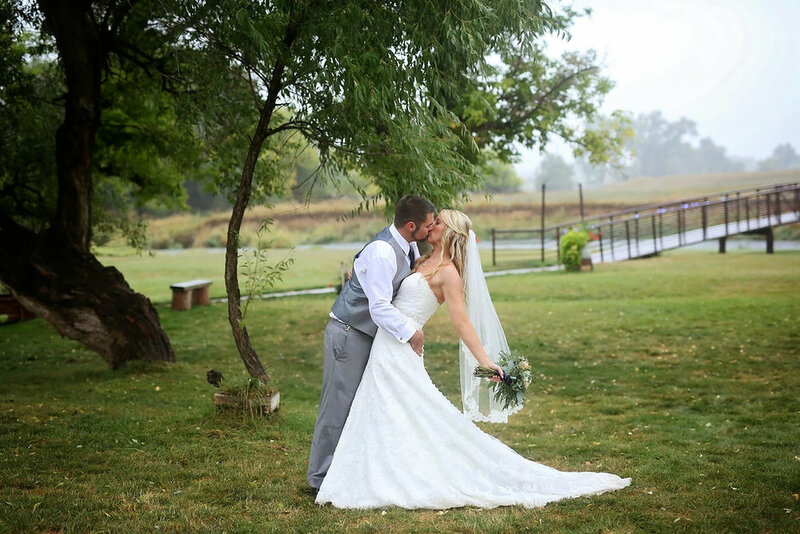 Ceremonies can be held outside, or inside our romantic log chapel, or in the Gazebo overlooking the Red Water River. Our two-story reception barn is equipped with everything you will need; bandstand, dance floor, bar, and kitchenette. Complete RV hookups, farmhouse, tiny house and cabins are available for your guests. End the night with a comfortable stay in our charming log cabin honeymoon suite. Need help planning, we have referrals. Reception barn holds up to 450 people, although with outside accommodations seating capacity is unlimited. The bridal party may also use the downstairs of the reception barn to get ready. *If you choose a weekday (Monday-Friday) for your wedding, you will receive the day before for free (this can be used for decorating and/or having a rehearsal dinner). Everything that is included in the BCR Silver Wedding Package will be included in a weekday wedding. We require that you are responsible for the setup & take down of the seating. 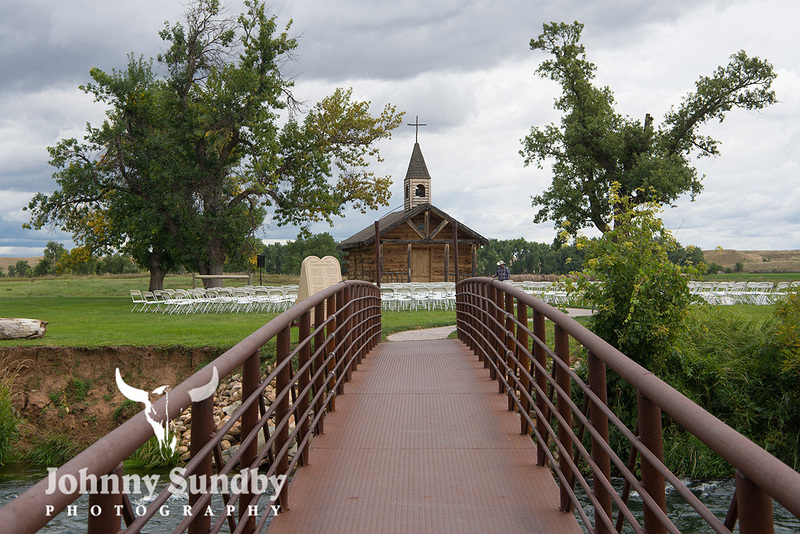 If you have your ceremony at the Chapel, there is electricity available in the Chapel, the walk bridge and the Gazebo for your lights or music. You or your musical entertainment are responsible for setting up the sound system at the Chapel. Please note, we do NOT have a sound system in the reception barn. Your musical entertainment is responsible for setting it up. If you plan on using flower petals, please use real flower petals instead of the artificial flower petals (this applies for outside ceremony only). We have a full service bar and can serve until 2AM. If you would like to have a certain type or kind of beer, wine, champagne, etc. available that you would like our bar to carry for your special day, we will do our best to accommodate your requests. You must have your specific requests in at least 2 weeks prior to the wedding date. However, because we have a full liquor license, we cannot allow our guests to bring in any outside alcohol. It is a Class 2 Misdemeanor (open container) for any person to consume any alcoholic beverage upon the premises of a licensed on-sale dealer if the alcohol beverage was not purchased from the on-sale dealer. If you would like to have an open bar tab for a specific length of time or amount, we can do this and would be happy to help set up your tab. Otherwise, we will run the bar as a cash bar. If you choose to have an open bar tab, we require a 18% gratuity charge for our bartenders. We do not provide catering, decorating or entertainment; however, we would be happy to refer you to some wonderful caterers, decorators and entertainment in the area. We have a kitchenette in the basement of the Reception Barn that is available for caterers/vendors or self-catering. It includes a cooler, refrigerator, freezer, stove, 3 compartment sink and table tops for food preparation. If you or your caterers choose to use the kitchenette, you are responsible for the setup and clean up. All buildings, including both patio fire pits, will be shut down when the bar closes. The bar can stay open until 2AM. Please email us for pricing information! Check out this beautiful video done by Ryan Becker Creative. This was taken a couple years ago (we now have an addition on the reception barn and a stamped concrete path leading from the gazebo all the way to the chapel).